Presented in partnership with Traditional Building and the Traditional Building Show, Washington D.C., Wednesday, December 7, 1:30-3:00 PM. 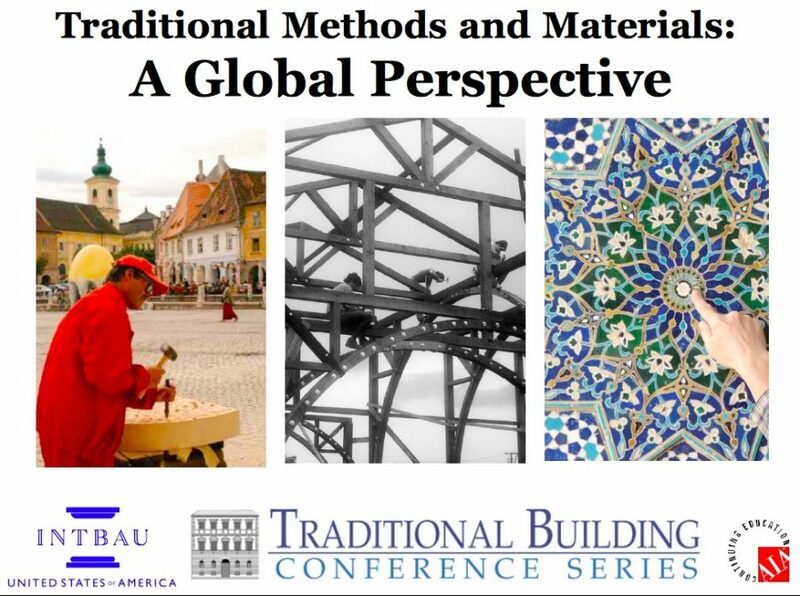 This panel discussion will focus on the challenges of using traditional methods and materials in the US and abroad and the challenges of modern construction practices that support or hinder good traditional design. Code compliance, energy standards, availability of materials, changes in manufacturing process have all had an impact on how we design and detail new traditional buildings. Join a panel of experts in the field as they offer a global perspective on what plays out as a local problem. – Explain how traditional architects work within national standards and overcome barriers posed by local regulatory climates to build traditionally as well as meet new standards. – Discuss solutions balancing traditional methods and contemporary codes both in the US and in other countries especially in light of recent disasters-flood, earthquakes, tsunamis, for example. – Cite case studies presented as part of this session when planning future projects. – Build a case for working with traditional materials and methods based on their durability, lower ecological impacts and aesthetic quality. With noted international practitioners and educators including Joanna Alimanestianu, co-founder, Council for European Urbanism and former visiting professor, Notre Dame; Ethan Anthony, INTBAU-USA Board and Cram and Ferguson Architects; Michael Mehaffy, Chair, INTBAU College of Chapters and Structura Naturalis Inc.; and Michael Romero, Atlas Collaborative Foundation, and former Director of Projects for the Prince’s Foundation.